UK GOVERMENT STEPS BACK ON THE THROTTLE. In Enjoying MG in October 2011 (see the Members Area of the Club website for Members access 24/7) we covered in some detail the increasing content of Ethanol being added to petrol. This was driven by the EU Directive 2009/30/EC, which is the driving force for all EC member countries to achieve 10% biofuel content in the road fuels by 2020. Therefore this 2020 date has been in our consciousness for many years and this was the main driving force for the UK Government to speed up the introduction of Ethanol into mainstream road fuels with the ‘escalator’ reaching 5% as covered in the feature. It was also noted at that time there was serious talk of that level moving quickly beyond 5% to 10%, which as time passed turned out to be incorrect as this introduction was delayed, but the EU Directive had already set the clock ticking for 2020 and that 10% level. THE MOTOR FUEL (COMPOSITION AND CONTENT) (AMENDMENT) REGULATIONS 2013 and since then it has been purely a commercial decision by the oil companies NOT to supply any petrol in excess of 5% Ethanol, (E5). However, the Governments original timetable was for 10% to be the widely available fuel on petrol forecourts from 2014 and for E5 to be available as a ‘protection grade’ for those cars not suited to E10 until the end of 2016 when the legal path for its continued availability, as a three year extension would expire. From then E5 was not intended to be widely available, but it was intended that a super unleaded E5 would have limited availability from then to cover the vehicles still unable to run on E10. Clearly there has been a major delay in that timetable and we still find petrol companies do not have the desire to introduce E10, simply from the fact that drivers are suspicious of E10 and so any individual company selling E10 would lose sales to other forecourts still selling E5. Clearly E10 introduction will have to be mandated by Government. As a side issue this significant delay in introducing E10 in volume has impacted heavily on the Biofuels industry that had ramped up investment and facilities on the basis of the Governments original E10 timetable, and now has had to consider mothballing facilities. This feature from December 2017 illustrates this. https://www.ft.com/content/31b0e84a-d9e1-11e7-a039-c64b1c09b482 and no doubt they will be pressurising Government to introduce E10 quickly. Overall though we should have been in the E10 world long before now, but we have had this holiday with no E10, but like all holidays they come to an end sooner rather than later and the inevitable onset of E10 as the general fuel will not suit classic MGs without some more modification that goes beyond what we have had to adopt to cater for E5. Indeed reliable information does reach us from several sources showing there is an on-going variable situation where E0 is still available in some of the super unleaded brands in some parts of the country, although there is no advertising of this and no admission of this from the petrol suppliers as this is a variable and not available everywhere. This relates to the petrol supplying company’s legal requirement to ensure that by volume the ethanol content of their total petrol supplied contains no less than 4.75% and no more than 5%. This gives the companies a small window of flexibility to provide some of their volume without ethanol and this is where some of the super unleaded brands in some areas can be E0. If the volume of E0 sold rises too much then ethanol will be added to ensure the legal Ethanol levels for total petrol volumes are maintained, but if the sales drop then it can go back to E0. As to the future, earlier in this summer the Government have put their foot back on the throttle of E10 introduction, partly by their stated desire to see the emission benefits from general use of E10 and no doubt also to cater for the fact they are at pains to keep stating that whilst we will be leaving the EU in March 2019 until then all EU directives will be complied with, so that holiday from the 2014 widespread introduction of E10 will be around five years late in arriving. 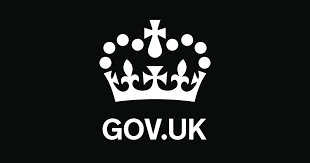 On 20th July 2018 the Government issued a consultation that runs until 16th September 2018 at https://assets.publishing.service.gov.uk/government/uploads/system/uploads/attachment_data/file/727547/e10-petrol-consumer-protection-fuel-pump-labelling.pdf and in it the Government lays down its two proposals, which is more of a statement of what will be happening. The Governments preferred option (1) is different to the now expired 2013 dictated situation in that the on-going availability of E5 as a protection grade now has a proposed end date of 31st December 2020, but there is acknowledgement that there will be a need for a continuing protection grade after this date. This protection grade is now anticipated as being at 95RON rather than the 2013 legislation setting this at 97RON (Super Unleaded). Availability would clearly be significantly reduced as this would only be available from petrol stations already selling both 95 and 97 (or higher) grades of fuel and that the stations total annual sales were in excess of 3,000,000 litres. We do not have data that indicates how many stations this would apply too. The Governments second option (2) would be to allow petrol companies freedom to choose whether they supplied the protection grade in 95 or 97RON format and the suggestion is that it would be more likely to be more expensive super unleaded grades. At the time of writing the FBHVC has yet to formulate their response to the Governments consultation but they have issued a short survey for owners to fill in relating to the numbers of vehicles that they have needing a ‘protection grade’ fuel and approximately how much fuel they use per annum. See https://paulc1.typeform.com/to/Bt7HKS and it is worth any owner of a classic car filling this in to expand the database. The effects on classic MG cars will vary due to age and subsequent modifications done since the October 2011 feature, but what was still in the future when this was written was that vast numbers of classic MGs would have to have some fuel system modifications done because of the effects of E5. Most affected cars have had those changes done and these will stand their owners in good stead should they have to use E10, as E5 Ethanol resistant components are invariably built to E10 resistant standards. However, some further changes will become inevitable, such as possible re-needling, or re-jetting of carbs which have no capability of coping with the additional weakening effects from the extra oxygen available for combustion within E10, whereas they may have coped with a small adjustment of existing carb settings with E5. Whilst most cars have had fuel system hardware changed to suit, there will be some cars where they will still have older fuel handling components, and here the main risk comes from a more rapid degradation of fuel hoses (and some other parts) with the increased Ethanol content and greater likelihood of fuel leaks. So the on-going advice we have issued on a number of occasions is that owners will have to be vigilant if their fuel systems have not had any updated parts in the last ten years as leaks will be more likely. Assuming that the ‘protection grade’ of E5 continues then the current status quo will be maintained with E5 being a better choice than E10 for classic MGs. Remembering the Government consultation is open until 16th September individuals may wish to also participate as it is clearly vitally important that the case of a continuing ‘protection grade’ of petrol that is as widely available as possible is very important. Especially when reflecting on the previous availability of genuine leaded petrol following the 2000 cessation of it being widely available. Here the significantly higher cost and quite limited availability soon made stockist stop selling it and convert their tank storage and pump delivery to more profitable mainstream unleaded fuel. This would be the similar risk associated with any E5 protection grade of fuel available from 2021. Longer term the obvious route will be to follow the conversion route in completing engineering changes to the cars to make them compatible with E10, but this is a variable list of changes depending on the age and model of MG with varying costs, but ultimately I see this as being a route that has to be followed.